Horseneck Beach is a painting of my favorite beach. This beach is also located in a beautiful New England coastal town. I have spent many hours there either walking, swimming or day dreaming. I wanted to capture the spirit and pleasure I have for this place in paint. The large canvas size enables a viewer to soak in the feeling of the place with all its sunny, windy surf. 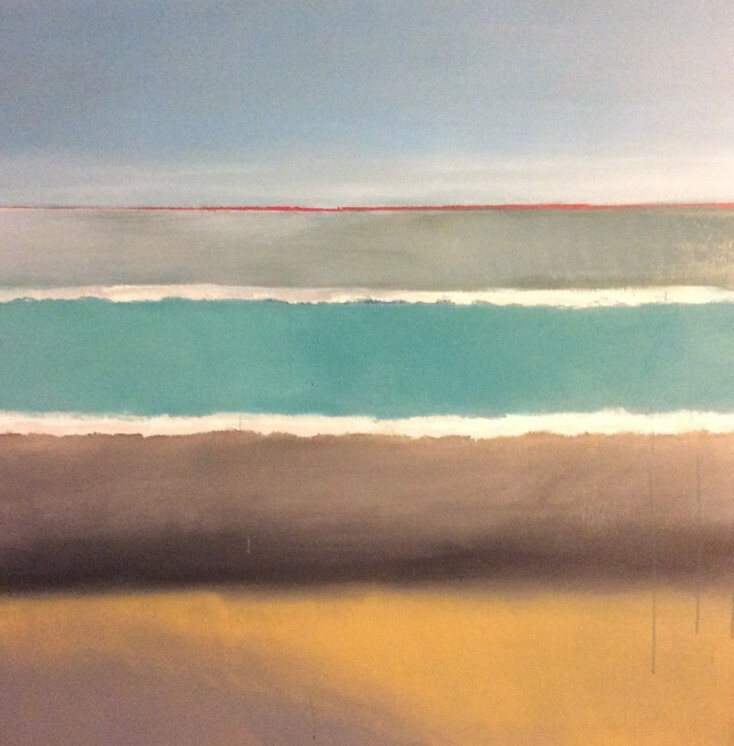 Splitting the horizon in three helps denote the feeling of a lanscape and the colors support this from a sandy yellow to a grey aquamarine green. This is a painting style I like to call 'mind landscape'.